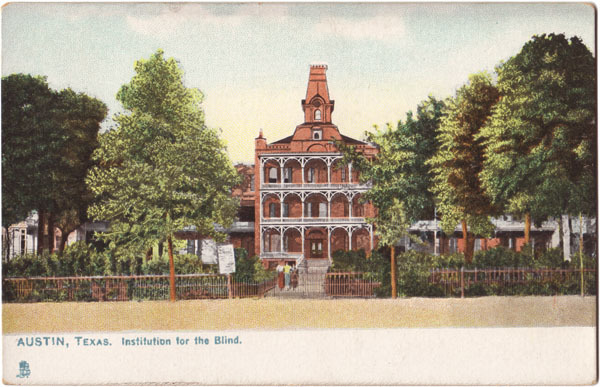 Text on Back: THE INSTITUTION FOR THE BLIND has 27 instructors and nearly 500 students, both sexes. Besides the general branches, vocal and instrumental music, kindergarten and industrial employments are taught. The cost per head is $250. per annum. In 1905 the State contributed $65,000 toward the support of the institution. The value of the grounds and buildings is $100,000.